Take advantage of an ideal business location by leasing space at Wesbrook Village, the newest commercial offering at UBC. 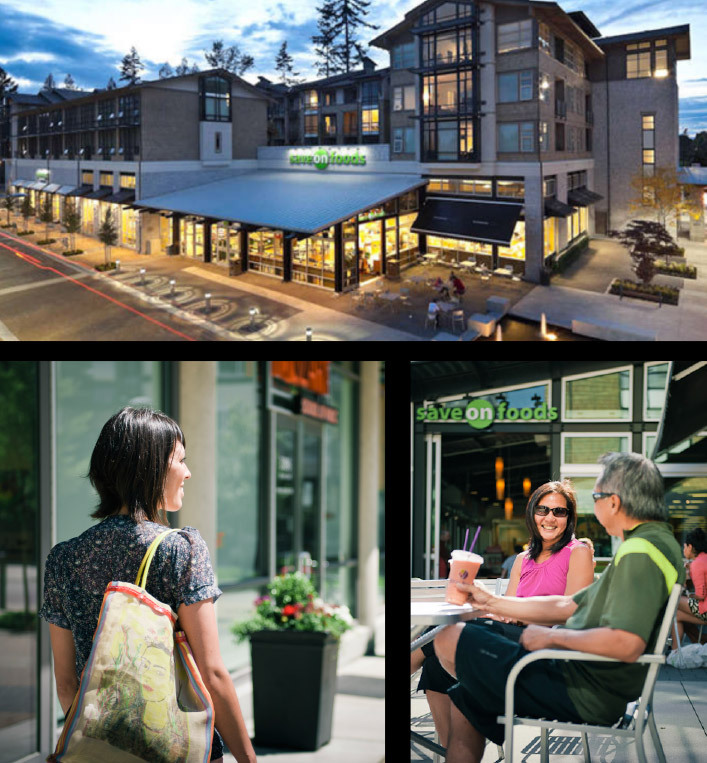 The commercial heart of Wesbrook features a Save-on Foods grocery store, BC Liquor store, Blenz Coffee Royal Bank, and other shopsand services designed for everyday needs. The Village has a neighbourhood character and features pedestrian-friendly sidewalks, appealing landscaping and spacious public gathering spaces. A new high school and community centre on site will further enhance the community feel of the Village. Tenants here are closely connected to the UBC campus, and are within 20 minutes of downtown Vancouver and Richmond.